Ever since humanity discovered the energy contained in fuel, we have been thinking about how to use it. The goal has been to use it efficiently. Our thirst for energy and our environmental footprint is increasing at the same time as traditional fossil fuel resources are dwindling. “Water is the coal of the future” - Profound words from a renowned sci-fi writer Jules Verne, author of 20,000 Leagues Under the Sea and Journey to the Centre of the Earth. What’s even more amazing is that sentence was written in 1870. Hydrogen is the energy of tomorrow. And governments and policy makers are getting involved in this transition. They have declared the future will be one of eliminated dependency on fossil fuels and the nasty community impacts of their use. The people want zero emission solutions - and it seems hydrogen will play a major role in this change of fuel preference. Hydrogen’s evolution as the energy carrier of choice has now become financially viable for widespread use across industries and applications. Whether it is off-grid self sufficiency or mass transit vehicle power, hydrogen is being adopted as the number one contender for a clean energy future. In the transportation realm it seems that transit operators are the ones who are breaking ground by implementing hydrogen fueled systems to power their fleets. They are making the move from fossil fuel, predominantly diesel and CNG powered buses to zero emission propulsion systems using hydrogen fuel cells coupled with batteries to deliver smooth and worry-free clean transit. These same transit agencies are demonstrating the convenience and safety of hydrogen refueling systems can be replicated across the transportation network for all vehicle types. And what’s not to like about this? A Push for Diesel Leaves London Gasping Amid Record Pollution. London’s air pollution today is different from seven decades ago, and more insidious. No longer thick as “pea soup,” as it was traditionally described, the city’s air is now laced with nitrogen dioxide — a toxic gas mostly produced by vehicles with diesel engines. This same scenario is playing out over and over again in cities throughout the world. The legacy fossil fuel systems are simply not the way of the future. You can see why policy makers are making the investment in this fundamental energy distribution network. Learn how transit operators are making this change. Maybe you can do the same in your community. Do you know of any communities that are benefiting from using hydrogen fuel in their public transport network? Let us know in the comments. 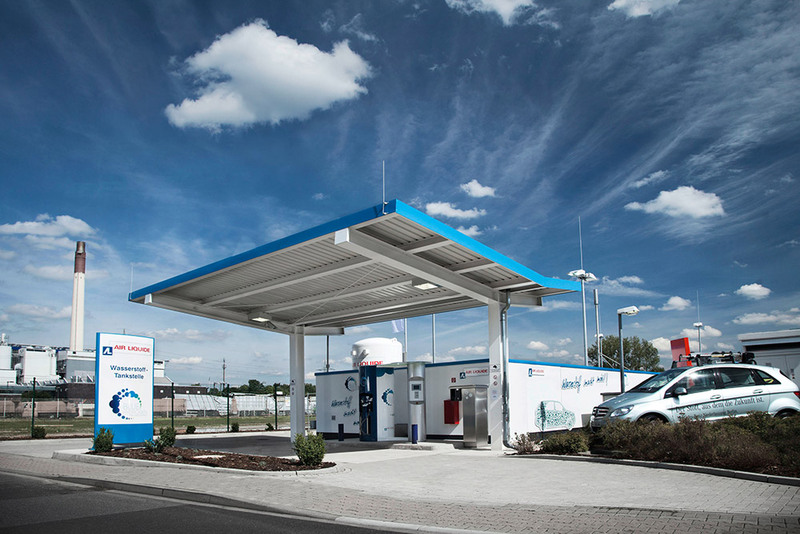 Want to learn more about hydrogen refuelling stations for fuel cell buses? Download our white paper to read how some European bus depots are already using this revolutionary technology.